Quick Creations GDT: Make a Wish! I've got a fun new card to share with you today as a Guest Design Team member for Quick Creations! I'll be first to admit that LOVE La-La Land Crafts stamps yet I always forget to color them in my free time! 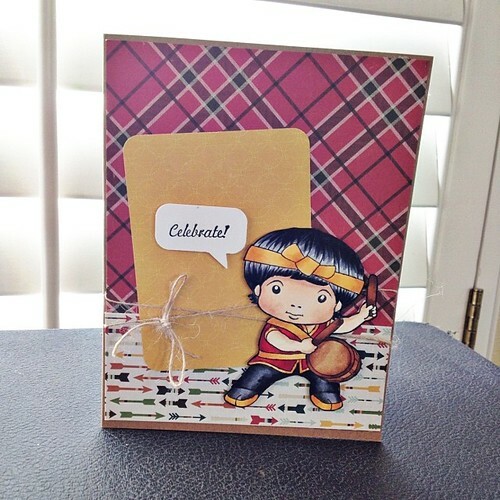 But I couldn't resist creating a card using this adorable Birthday Clown Luka - isn't he just so ADORABLE?! Thanks so much for stopping by today! Be sure to stop by the Quick Creations blog for more designs by the Design Team! Anyway, thanks for stopping by! Hope you all have a wonderful weekend!